SocialNicole.com » Uncategorized » Should You Verify Your Facebook Page? With the rise of fake websites and questionable news sources, consumers are becoming increasingly wary of where their content comes from. As information grows easier to forge, duplicate, and distribute, consumers want to know who they can trust. They want to know they are interacting with real people and real businesses. One of the easier ways to earn trust and prove that your business is the real deal is through verifying your business Facebook page. By verifying your business Facebook page, you will receive a check mark that will let your audience know that this is no imposter they’re looking at, or just another fan page. A verified Facebook page appears higher in a Facebook search, builds trust with your audience, and increases your page’s potential for reach and engagement. How Does Facebook Page Verification Benefit You? By verifying your business Facebook page, it will rank higher on the list of searched items. Business Facebook page verification will also give you more views by taking them from fan pages and unofficial pages, as well as from your unverified competition. Being higher on the list in search means verified business Facebook pages have a higher chance of interaction from your audience. Not only will they find your page more easily, but they will also be more likely to comment, like, or even buy a product. The final way business Facebook page verification can help out your business page may be the most obvious: it builds trust with your audience. Your audience knows they are getting a genuine information when you post and share from a verified page. How Can You Tell if a Facebook Page is Verified? 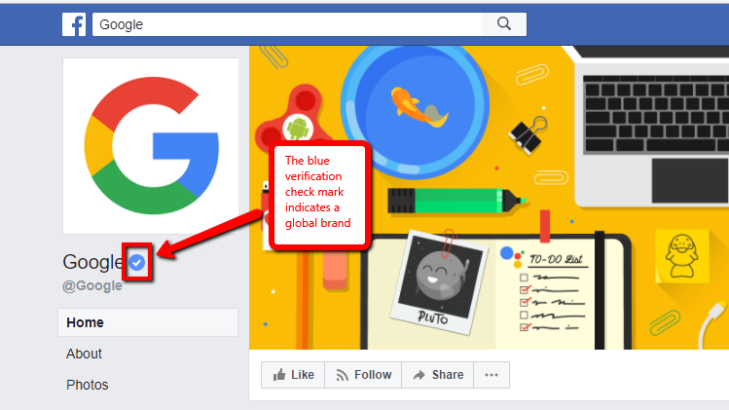 When searching for business pages on Facebook you will know which pages are verified because there will be a blue or gray check mark after the page name. This verification shows that Facebook has deemed the page you are looking at to be legitimate. Now you have decided you want your business page to be verified, how do you go about getting that ever so desired checkmark? Which Type Of Verification Should You Shoot For? There are two types of verified pages, one is identified with a blue check mark and the other is with a grey check mark. A blue check mark identifies a verified Facebook page of a well-known public figure or a global brand, where as a gray check mark identifies a verified Facebook page of a local business or smaller-scale organization. It is fairly difficult to earn a blue verification check mark. In order to earn a blue checkmark, you will have to prove to Facebook that you have enough followers, press features and/or a Wikipedia page, and proof that you are a public figure or a major brand. 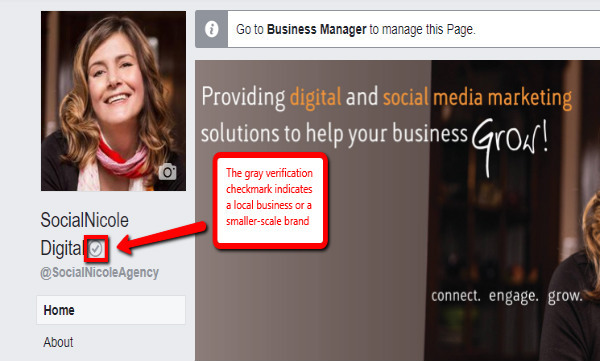 Receiving a gray checkmark for your Facebook business page is much easier and achievable. In this instance, your page will be listed under a category such as “local business” or “organization” on Facebook. Facebook business pages under these categories are likely to receive a gray badge of verification, and the process by which to do so is pretty simple and straightforward. The process by which verification occurs has recently been streamlined by Facebook to be easier and more accessible to business owners to promote their business pages. Once you’re sure your page is eligible for verification, and which type of verification you should shoot for, you can follow these step-by-step instructions to receive your very own check mark. All you need is a business phone number and a business page to verify your own Facebook page and reap the benefits outlined above. Before you begin, make sure your business is listed as a local business, as a company or an organization. When you click on your Facebook business page, go to settings in the top right. From there, select General, then Page Verification. Once you’ve clicked that, then click “Verify this page”. From there, “Get started” should be selected. Once you’ve clicked, “Get started,” Facebook will lead you to enter your phone number, language, and country. The phone number is the easiest method by which to verify a Facebook business page. The phone number must be publicly listed for your company. With cell phones becoming a major part of business operations – some businesses do not have a traditional phone number that is listed. We suggest you try your business cell phone and if Facebook does not accept it for verification, try a different method of verification. If your cell phone is not accepted by Facebook for verification, or if you prefer to submit documents to a phone number, select “Verify this page with documents instead.” This process is a little longer, and Facebook is selective about what materials they require. The following materials have been shown to be acceptable as proof: business tax files, business license, business utility bill, certificate of formation, business phone bill, or an article of incorporation. Any of these items must be in digital format so that they can be uploaded to Facebook. All these documents must clearly list the business’ name and address on the document. Once these documents are uploaded, Facebook will manually check that these are correct using public records. When using a phone number, Facebook will call you with the four-digit verification code that you will need to input into the appropriate box. Once this is completed, click continue. Whether you used the document or the phone method, Facebook will then message you in Facebook itself or via email to tell you that you have been verified or notify you of any additional steps you need to take. At this point, you may celebrate the grey check mark next to your business’ name. It is much more difficult to earn a blue check mark than a gray one. If your Facebook page is that of a large enough brand or personality name, a blue check mark may be achievable for you. Make sure your page is set up to help Facebook see you are a public figure or major brand. Provide a link from your official website to your profile or page. You cannot use a personal page, but must have an existing public page. You will need to make sure your page is listed under the “Public Figure” or major brand category on the “Page Info” tab. Under the “Awards” tab, provide as many links as possible to awards and publications you have received. You will need to show Facebook that you have a vast online presence. Fill in the about section of the page or profile with accurate information. The more complete and filled in this section is, the better. In addition, if you are hoping to achieve a blue Facebook verification check mark, you should make sure you have upwards of 500 followers. Facebook only gives the blue verification check mark to major names, so you will need to have a large following to prove yourself. -Selecting a verification type, either profile or page. of birth, or a document with an official watermark of your organization. – Writing a compelling reason why you should be verified. From there, you can send your verification request to Facebook. If your brand or personality is known widely-enough, you may achieve this blue check mark, which sets your page apart from any troll or fan pages claiming to be you. Now You Are Verified, but Can You Lose Verification? The short answer is yes. Though it is uncommon, it is possible to lose verification. The most common reason is the changing of the business page’s name, or by changing a great amount of content on the page, or by merging the page with an unverified one. The good news is that verification can be retrieved as long as the business is legitimate. Another common way is if the number is no longer publicly listed. Should this happen, you can use the documentation method to prove your identity. Is it Worth the Trouble to Get Your Business Facebook Page Verified? This is a question only you can answer. If your business does not have a publicly listed phone number or business license, verifying your Facebook may not be possible. Additionally, pages listed as a product rather than a business may not have the ability to be verified. This may also happen if your business does not have a physical location, or if you’re not in a supported region or country. However, if you want to get more views, interactions, and trust from your audience, and you qualify for verification, why wait? It is better to have a verified page than unverified, and the process by which you verify a page is fairly simple. If you decide having a verified Facebook page is worth it, then take the leap and you should begin to see results quickly after earning that little gray checkmark. Verifying your business’ Facebook page is free, won’t take long, and the benefits it can provide are well worth it. Having a verified Facebook page can make your page to appear higher in Facebook searches, build trust with your audience, and increase your potential for engagement and reach. Don’t wait any longer – all the benefits of Facebook verification can be yours today! 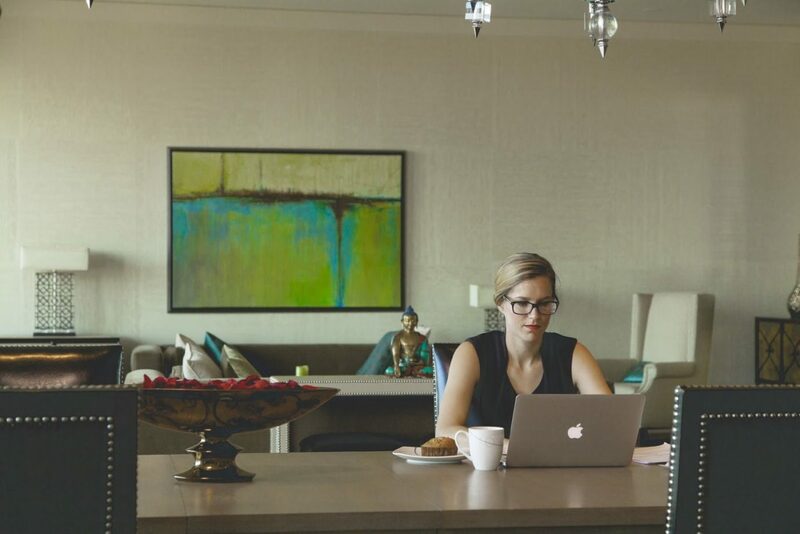 In the meantime, if you need some extra Facebook guidance, sign up for our free updates and feel free to contact us with questions so we can help you maximize your business presence on Facebook. Previous article: Facebook For Business: What’s the Best Time to Post on Facebook?